In August 2009 I was in South Africa for work and had a few days to look around. I’ve spent a fair bit of time in South Africa before and had already seen most of the larger mammals, but there is always more to see. 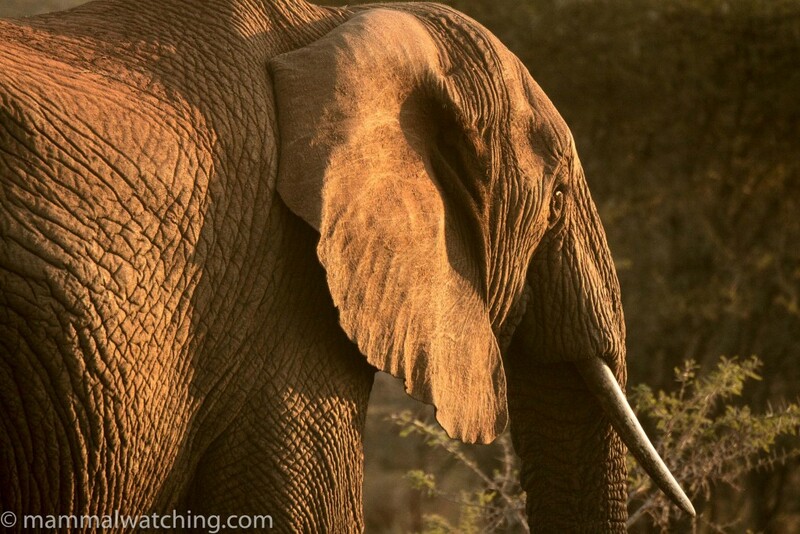 I spent a couple of nights at the wonderful Thanda private game reserve, north of Durban. 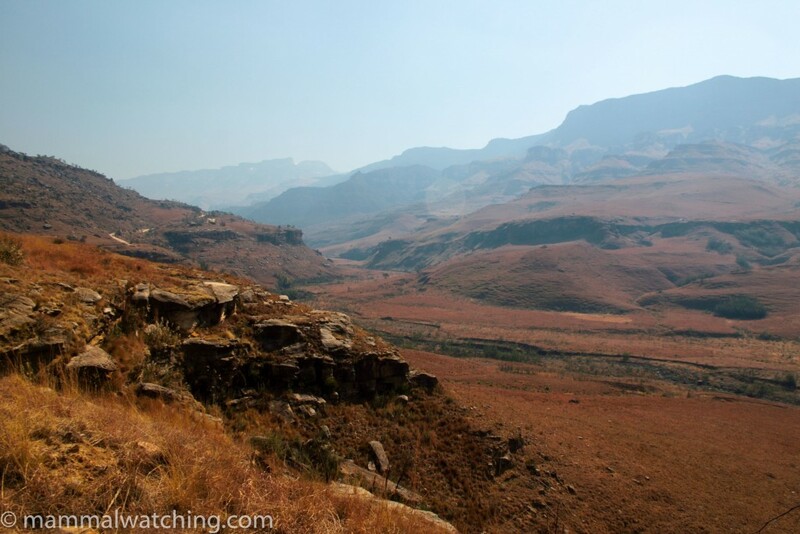 a day looking around Pietermaritzburg and the Lesotho border, plus a weekend in Pilanesberg near Pretoria. 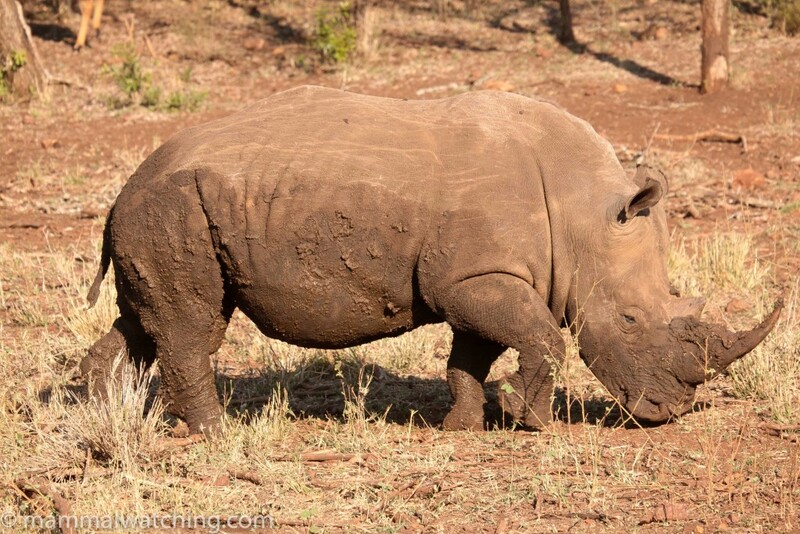 Thanda Private Game Reserve is about 3 hours north of Durban. It may well be the nicest hotel I have ever stayed in: stunning rooms, stunning views, and the staff couldn’t do enough to help (including helping retrieve my luggage which for the third time this year didn’t arrive on the same plane that I did). Although most of the animals were reintroduced to the reserve, they seemed to be living genuinely wild and I would have counted them on my lifelist had the need arisen. In any event I didn’t see anything here that I hadn’t seen before. 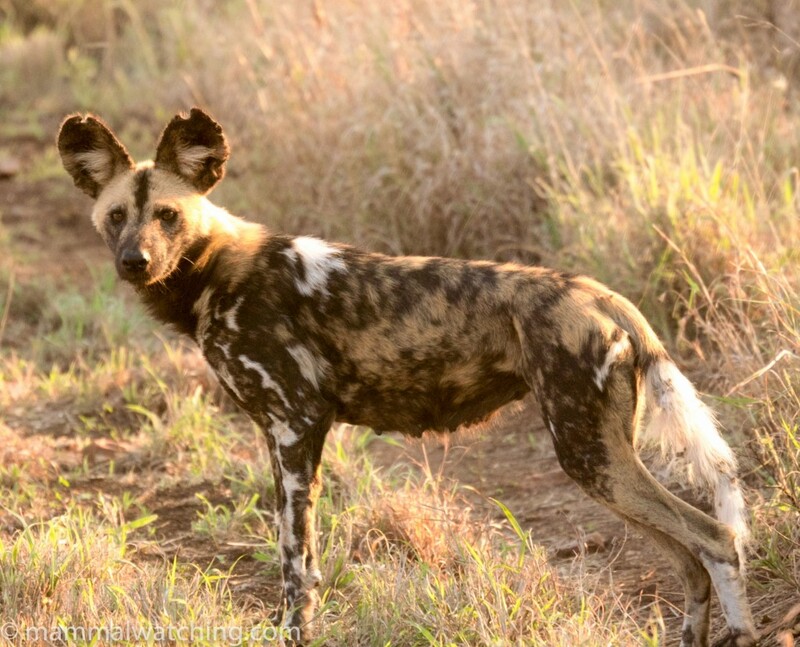 The most exciting sighting was of a pack of Wild Dogs which apparently hadn’t been introduced – they had come into the reserve on their own. 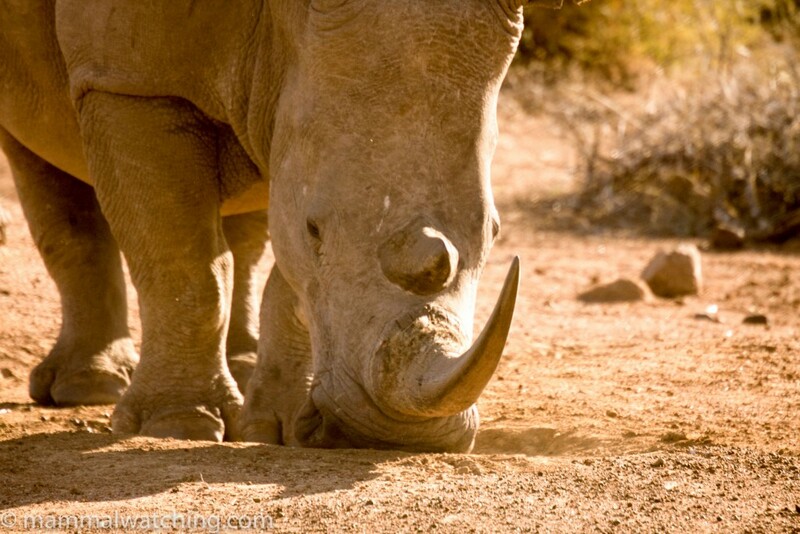 Other mammals included White Rhinos, Lions, Cheetahs, Red Duikers, Nyala, Kudu, Impala, Zebra, Buffalo and Warthogs. The first game drive there picked up Cheetahs, Wild Dogs and a pride of Lions which came down to the waterhole behind us to drink as we were out of the vehicle having sun-downers watching the Elephants drinking in front of us. 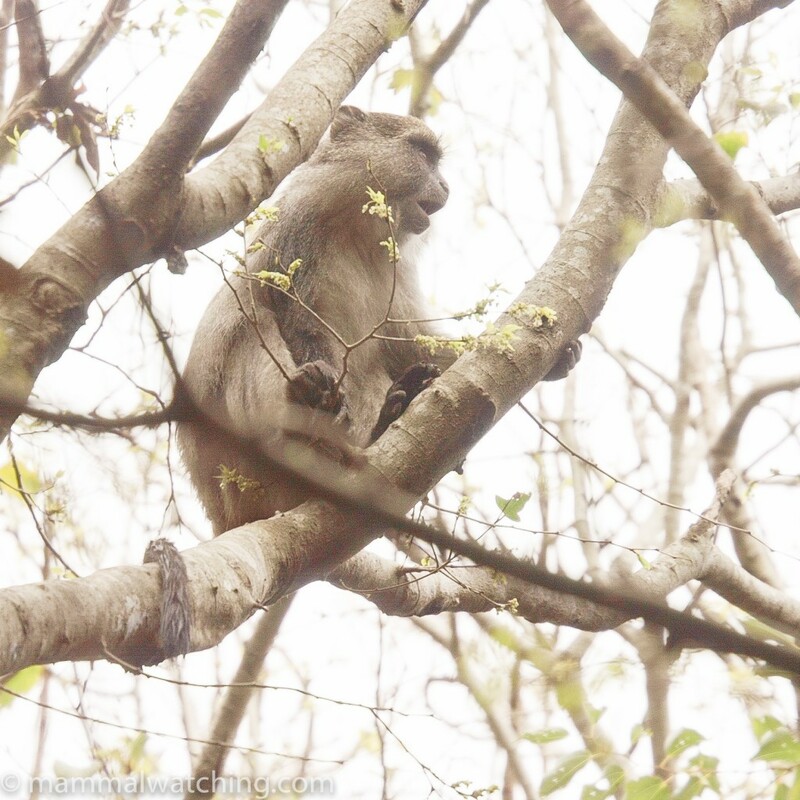 The friend I was with was on her first ever safari… it was hard to explain that it wasn’t usually like this. Thanda isn’t particularly cheap by South African standards but it was excellent value for money and a fabulous place for a safari in style. 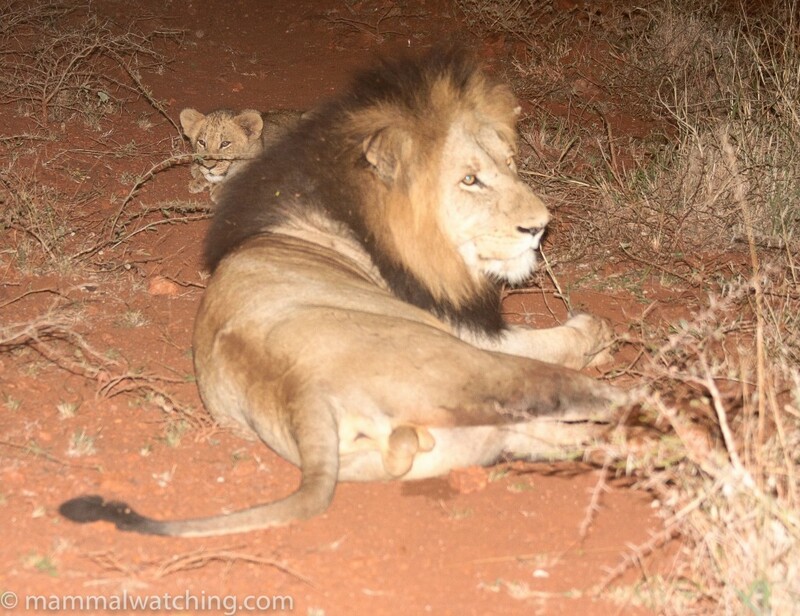 The little surprises that were thrown in – such as stopping in the middle of the bush during a morning game drive to find breakfast had been set up – were truly memorable. St Lucia Wetlands is about 2.5 hours north of Durban. 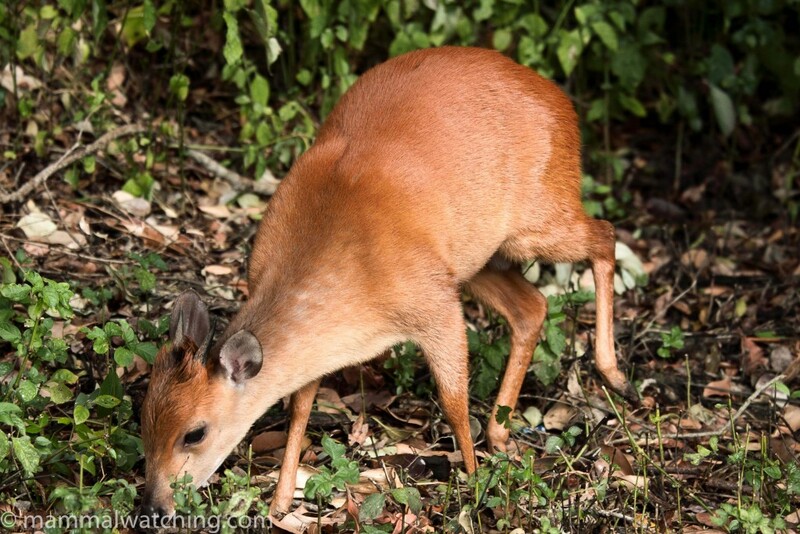 I first visited here in November 2007 to see some of the sand forest specialties like Red Duiker and Tonga Red Squirrel but I hadn’t spent a night in the park. 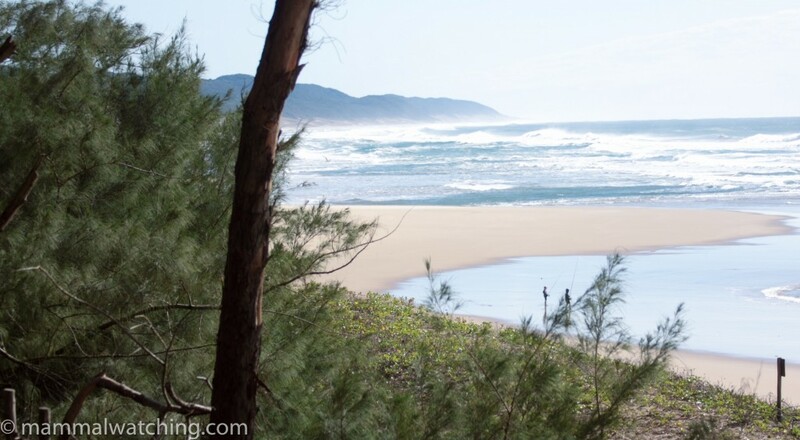 I returned for a few hours and spent a night in a cabin at Cape Vidal. The weather wasn’t great so I didn’t see a huge amount of wildlife, but did see plenty of Zebras, Kudu, Bushbuck, Impala, Warthogs, Red Duikers, Waterbuck, Vervet Monkeys, Buffalo, Hippos, Wildebeest and a Genet (not sure which species) on the road at night. Sykes’s (aka Blue or Samango) Monkeys (Cercopithecus mitis albogularis) were common in the campsite the next morning, and there was also a very tame Red Duiker hanging around. 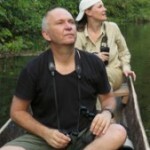 Over the years I’ve talked about mammals with the crew from Rockjumper Birding Tours. They are based in Pietermaritzburg, something I had forgotten until just before I went to Durban. But with true South African hospitality Adam Riley, one of Rockjumper’s founders, and his partner Felicity were good enough to give me a bed for a night and take me out for an evening’s mammal chasing. There were only a couple of nocturnal potential lifers in the neighbourhood that I had a chance of seeing: Greater Cane Rats and Natal Red Rock Rabbits. Adam knew some good areas for both but they were in opposite directions so I decided to try for the Cane Rats. We visited an isolated cane farm, with the sort of security gates that the Pentagon would be proud of, about an hour out of town. The farmer lent us a spotlight after Adam’s packed up and we drove through the cane fields. I quickly saw (but only for a second) the arse end of a Cane Rat shuffling off the track and into the cane. Another 40 minutes of looking didn’t produce any more animals. The farmer had never seen one other than during fires so this was a lucky spot I think. 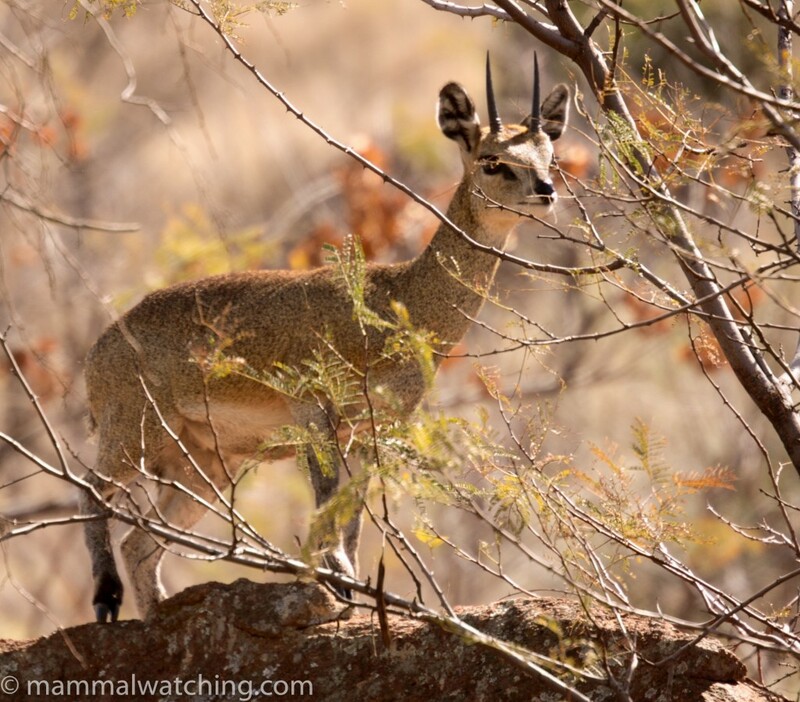 Problems with our spotlight meant we gave up on the rock rabbits but we did see a few Grey Duikers, a Porcupine and a Feline Genet along the highway. I decided to spend the next day looking for a couple of other species that would be new: Spot-necked Otters and Sloggett’s Ice Rats. The Ice Rats are guaranteed if you can get to the Lesotho Border on the Sani Pass. The otters are pretty common in KZN and Adam knew several spots, recommending one that was conveniently en route to Lesotho. It turned into an amusing – if unsuccessful – day. I left PMB early and got to the otter site by 9 am. 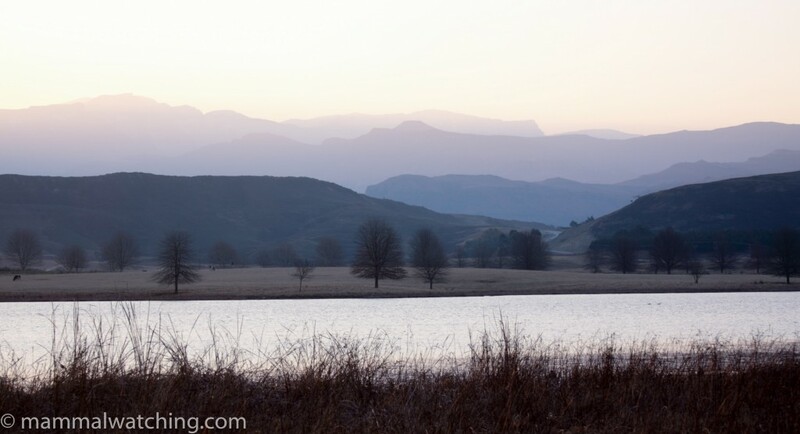 Adam had often seen Spotted-necked Otters in a large farm dam about along the Sani pass, about 6kms after it begins near Himeville. The dam is set in a bend in the road on the left hand side as you are heading towards Lesotho. it is a hundred or so metres away from the road so I gave Adam a quick call to see whether I risked being shot if I hopped over the fence (to say the South Africans are security conscious is rather like saying Parisians don’t like to queue ). Though at least the South Africans have an excuse). Anyway, Adam reckoned I’d be alright, so I hopped over the fence and wandered the shoreline, wading through more mud than I’d expected, without seeing any Otters. A couple of hours later the farmer turned up. He explained that he had considered putting a “rifle bullet over my head into the water” to let me know I was trespassing. That would have been fun. But he forgave me and it turned out he was pretty interested in the local fauna. He’d seen groups of up to 12 otters in the dam but not everyday and generally only early morning and late evening. 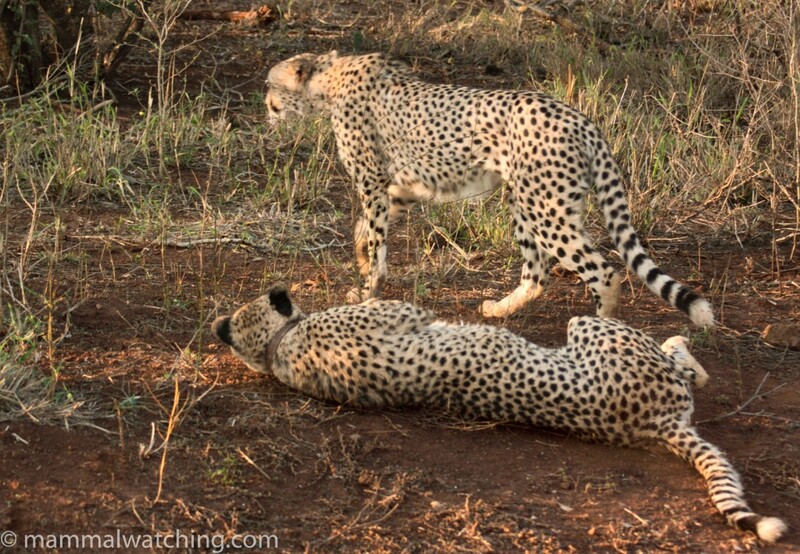 He also saw a Serval quite often in the evening. In the end, he was OK with me coming back later in the day to look. But in future I will at try to ask permission I think before I hop over any fences in South Africa, unless I am wearing a bullet proof vest. The Sani Pass continues to the South African border and from there becomes a 4wd road up to Lesotho (in fact I would be pretty nervous about doing the last few kms on the South African side in a 2wd). I hadn’t known I should have hired a 4wd but was assured that if I left my car somewhere safe I would be able to get a lift quite easily up to Lesotho border and the Ice Rats. So I left my car at the last hotel and started walking. It was a beautiful view but after 2.5 hours and a 10 km walk, punctuated by a few Baboons, I had been passed by only 2 vehicles, both of them full. But who cares… I had made it to the South African border post. “Where” I asked ” are the Ice Rats?” as I triumphantly handed over my passport. “Ahhh but they are not here .. they are in Lesotho. Another 8kms up the road”. Bugger. I didn’t have time to get up there and back on foot (and didn’t have the energy either). So I sat by the side of the road and waited another hour but no vehicles came up. So I hitched a ride back down to my car. At least I know better for next time. I spent a last hour on the way home looking for otters but didn’t see anything mammalian beyond the cows. If I had had a 4wd then I’m told that the Sloggett’s Ice Rats are all over the place at the Lesotho Border, running around the tables at the cafe there. For almost 20 years I have wanted to see a Brown Hyena, ever since I read Mark & Delia Owens’ book “Cry of the Kalahari”. 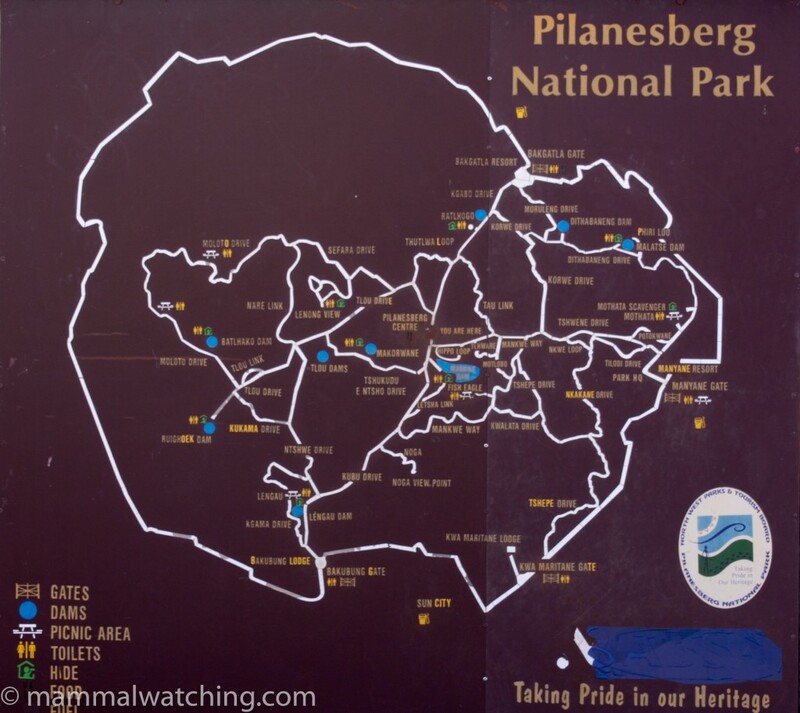 Pilanesberg National Park is perhaps the best place in the world to see them: at least it is reputed to have the highest density of Brown Hyenas on the planet, in part because Spotted Hyenas are absent. I had visited Pilanesberg in 2002, looking especially for Brown Hyenas and Caracals (also relatively common here) and saw neither. But the word on the street was that winter is the best time to look for Browns because they are more active during the day and have young to feed, so I wanted to try again. I organised my short visit with Jaco Rautenbach at Adventure Travel Africa. 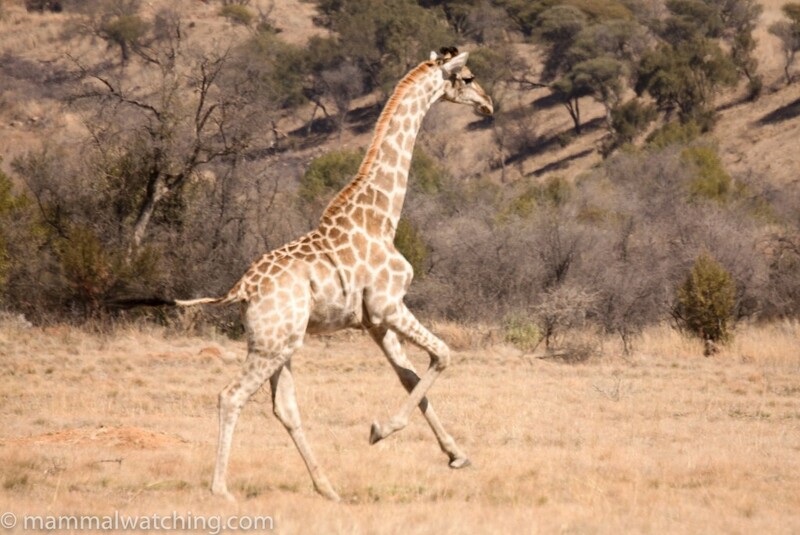 Jaco specialises in Pilanesberg and is beyond enthusiastic about the park. He was totally reliable and put as much effort as was humanly possible into finding me a Brown Hyena, as well as a lot of other stuff. 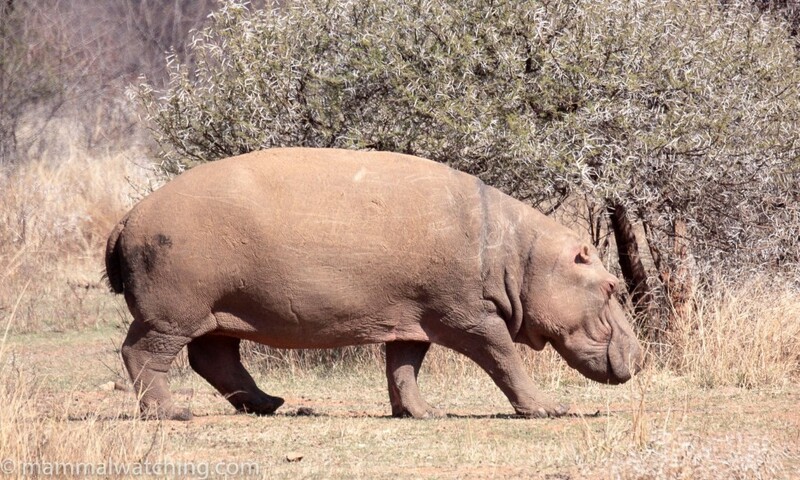 When I first visited Pilanesberg in 2002 I got the sense it was a little too civilised for my taste. I’m not sure why I thought that: maybe my recollections of safaris in Zambia were a bit too rosy, or maybe it was because most of the animals were introduced back in the late 1970s. Anyway, maybe the park has changed or I had … but this time it seemed pretty authentic to me. During 2.5 full days in the park, plus a couple of night drives (which you can only take with one of the bigger licensed operators) we saw a heap of stuff – some 30 species. The highlight for me was a lone Brown Hyena, seen distantly and for only 10 seconds on the second morning, but that was enough. In fact I was unlucky not to have seen more: if we could have found a fresh kill we would have been pretty much guaranteed sightings I think. Other good stuff included an exceptional 3 separate Caracal sightings on the same day, a Cheetah and a Jameson’s Red Rock Rabbit (on the night drive). 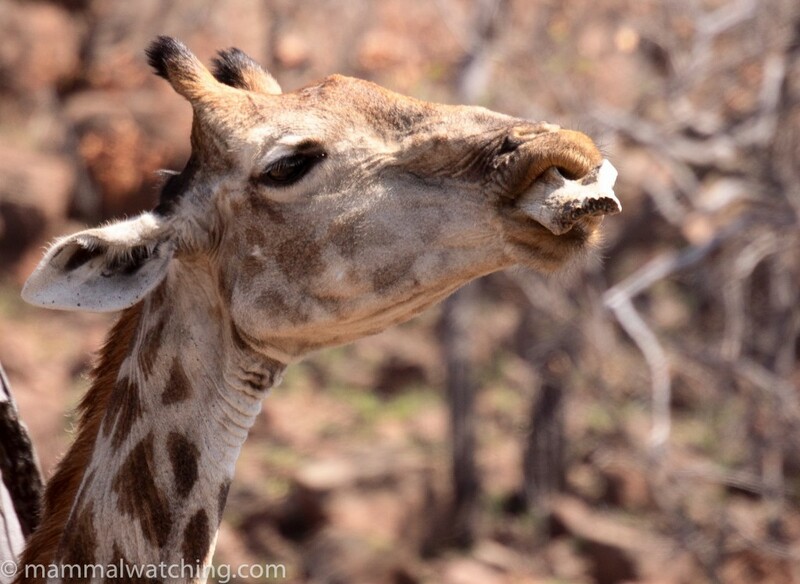 Jaco was good at working through most of the park’s mammals and also at spotting some interesting behaviour including this Giraffe chewing on a bone (to get some minerals I guess), and a White Rhino licking soil for a similar reason. 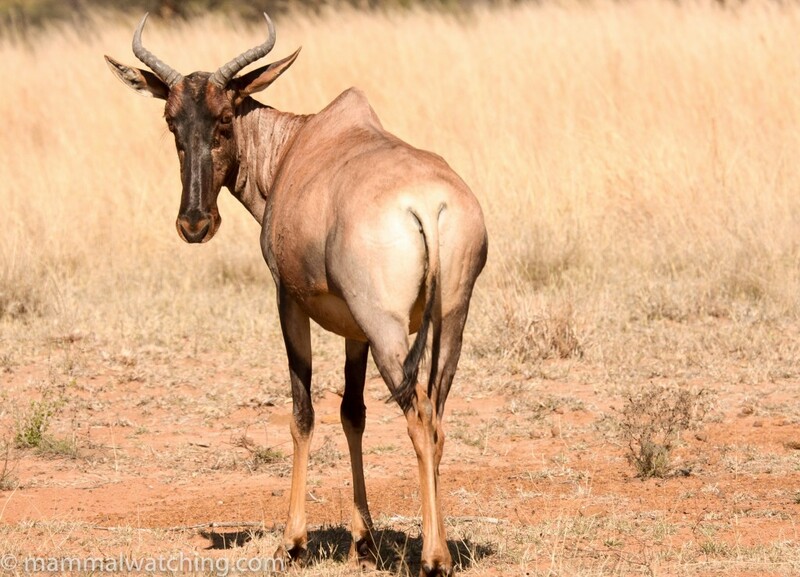 We also saw both Black and White Rhinos (White Rhinos are abundant, Black are much harder to find), Hippos, Black-backed Jackals, Lions, Slender Mongoose, Warthogs, Zebra, Common Reedbuck (uncommon), Springbok (much commoner than in 2002), Steenbok, Klipspringer (uncommon but Jaco knew a good spot), Impala, Waterbuck, Blue Wildebeest, Kudu, Red Hartebeest, Tsessebe, Elephants, Grey Duiker, Rock Hyraxes, Chacma Baboons, Vervet Monkeys, Tree Squirrels and a Scrub Hare or two. I was struck by the great number of Hippos that were out of the water. 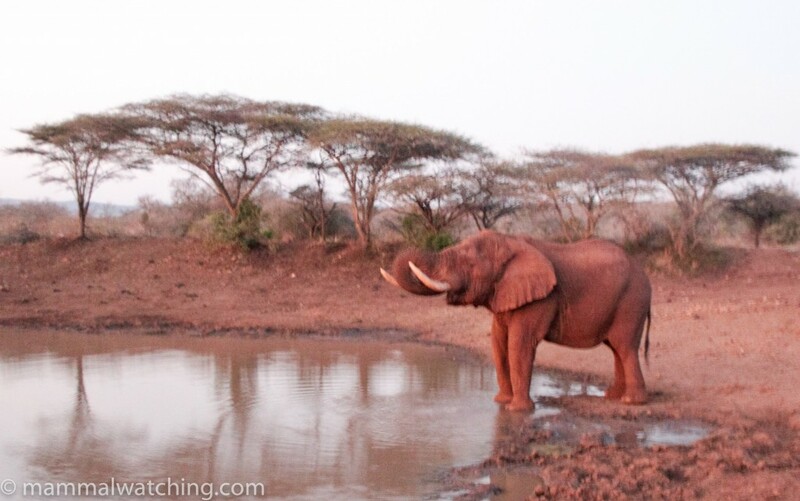 We saw far more hippos out of the water than in it, a reflection of the cool days and colder nights. 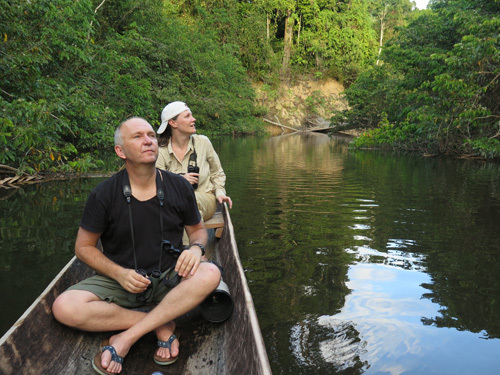 Thanks to Jaco there weren’t many species of larger mammals left on the park list we didn’t see. 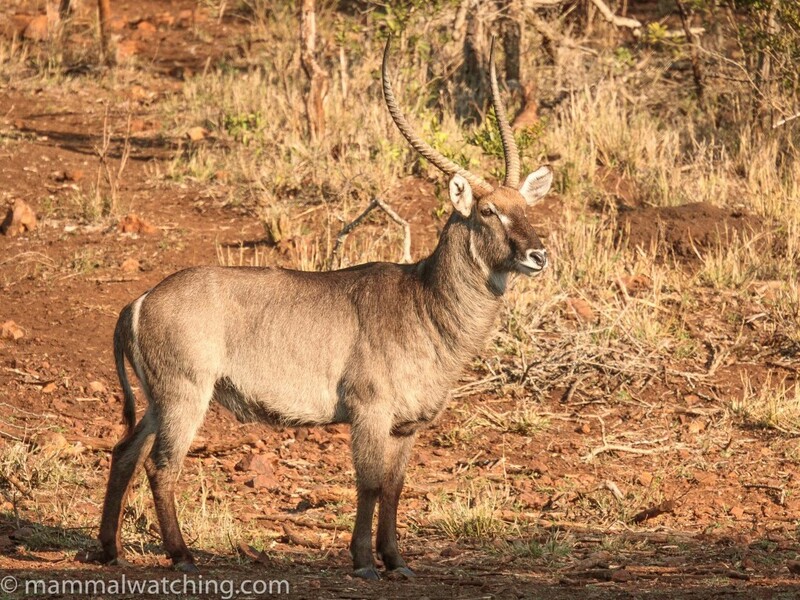 Sable Antelope would have been nice but are rare, and Mountain Reedbuck (something I saw the last time I was there) would have been an addition as would have been Buffalo and Gemsbok. Nor did we see a Leopard, which are not uncommon. But I don’t think there was much else we could have expected and I wasn’t making an effort to see any of these species again anyway. Lordy, Jon, I have to thank you for these reposts. I thought I had read most everything you’ve ever written but these seem fresh, the photos especially. I’m on a Ponant cruise next March from Ushuaia to Cape Town w/ stops in S Georgia and Tristan de Cunha/Gough Island, then in South Africa 3/25-4/6/2017. Other than looking for Haviside Dolphin I have no plan, so these trip reports are great. Anyone with any ideas are welcome to get in touch, anyone who wants to hook up also. Hi Natalia. I saw them both in the day and at night. I think 2 in the morning early and one on the night drive. There are several reports on this site where people have seen them. But, in South Africa, West Coast NP and De Hoop reserve are also quite good.